In this age of global tumult and unrest, it is of the very utmost importance that our government officials are straightforward, candid, honorable individuals who demonstrate a steadfast unwillingness to cede the nation's interests to the enemy. And among these varied posts, there is perhaps none more vital to our continued security and safety than the office of Secretary of State. Choosing a man for this position is not a decision that should be made lightly, and yet the current nominee, Senator John Forbes Kerry, currently appears likely to pass through the nomination process unimpeded, having curried the favor of legislators on both sides of the aisle. However, it is our duty as the vanguard of journalistic excellence to hold our leaders to a more exacting standard. And so, The Onion today demands that, before the confirmation process is allowed to continue, John Kerry be forced to tell the full and unvarnished truth about his service as a swift boat commander in the Vietnam War so that the concerns of the legions of doubters may at last be put to rest. What exactly happened on that swift boat, Senator Kerry? And what, exactly, are you trying to hide? According to John Kerry's recount of his time spent in the U.S. Naval Reserve, the young officer performed honorably in service of his country, ultimately being awarded several combat medals, including a Silver Star and three Purple Hearts. However, numerous credible sources, including many of the very men who served alongside him in his swift boat unit, have poked innumerable holes in Kerry's narrative, calling into question the truth of the senator's inconsistent account. They, speaking as honorable representatives of the American people, have posed pertinent questions regarding Kerry's wartime experience, to which the senator has so far remained mute, having deflected these reasonable questions with excuses and half-truths that have failed to resolve our valid concerns about his character. Is this the type of man we want as our nation's highest-ranking diplomatic representative? 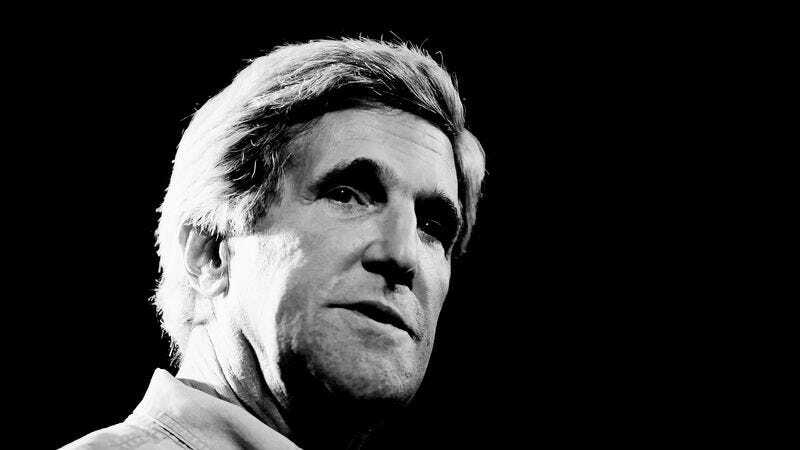 Can we really trust Kerry as Secretary of State if we cannot trust him to give an honest recount of his military record? Do the American people deserve no better? We believe that they do. Why do your fellow officers and subordinates present accounts of your time in Vietnam that vary so dramatically from your own? Why does swift boat commander Larry Thurlow allege that you lied about your supposedly heroic 1969 rescue of a green beret? Did you throw away the medals you received during your so-called service to our country? Why have your accounts on this issue been so inconsistent? Why do you claim to have spent time in Cambodia, when the record clearly shows the U.S. never engaged that country in military operations? What do you say to allegations that your 2004 presidential campaign team tampered with voter rolls in key Wisconsin precincts that allowed you to take the state? Until John Kerry steps forward and answers these questions with the transparency and specificity we require, we will not cease assailing him, and we will not cease our opposition to his candidacy for Secretary of State. Senator Kerry, if you truly value the openness and truthfulness that is part and parcel of this vaunted office, you will promptly come clean and, following that, formally remove yourself from consideration for this position. It’s your move, Senator Kerry. The Onion trusts you will do what’s right.